Official Football Manager Hints and Tips which are applicable across both the full FM PC game mode and FMC. 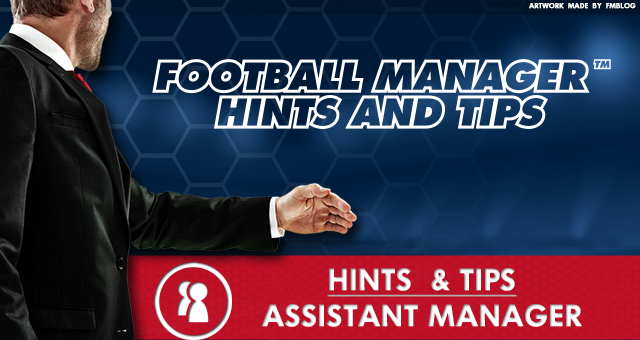 Let's take a look at Assistant Manger Hints and Tips. You can get your Assistant Manager to renew your players' contracts by clicking 'Team' > 'Staff Responsibilities' from the menubar and selecting the desired staff member for Contract Renewals. When viewing your squad screen you can get your Assistant Manager to pick your squad for a match by clicking the 'Ask To Pick' option from the 'Selection' button. The relationships that form between the backroom staff can typically grow in stature over time. This can mean that backroom staff, who have each other set as favourite staff, may leave the club together when the manager is sacked or gets a new job. Your assistant manager will give you up-to-the-minute feedback when in a game, providing analysis on tactics, performance, statistics and his pre-match observations. It is possible to keep up with all the transfer gossip and rumours for each league. To find out the latest news and reports simply go to the relevant league screen and click the 'Transfer Rumours' sub-tab under the 'News' tab. Football Manager Assistant manager in-game Hints And Tips.